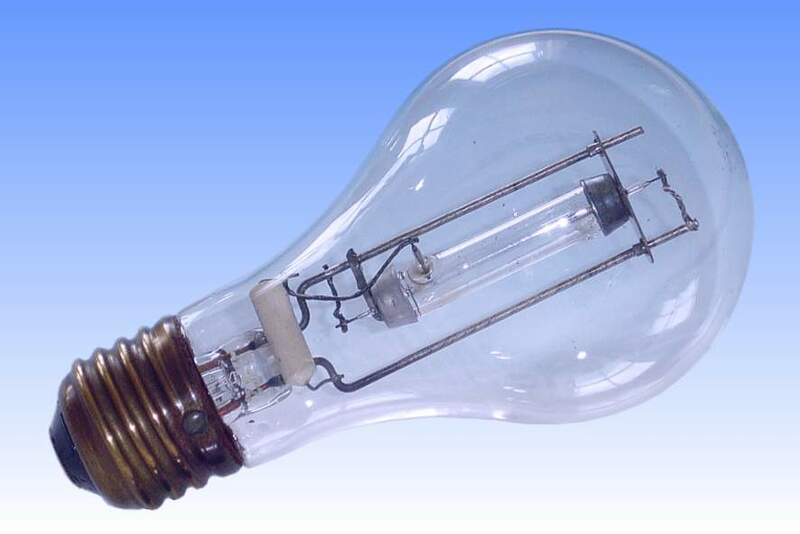 In 1932 the 400W S-1 mercury-tungsten Sunlight lamp was placed on the market by GE, and was soon accompanied by its smaller S-2 100W counterpart which is featured under the MC lamp section of this website. 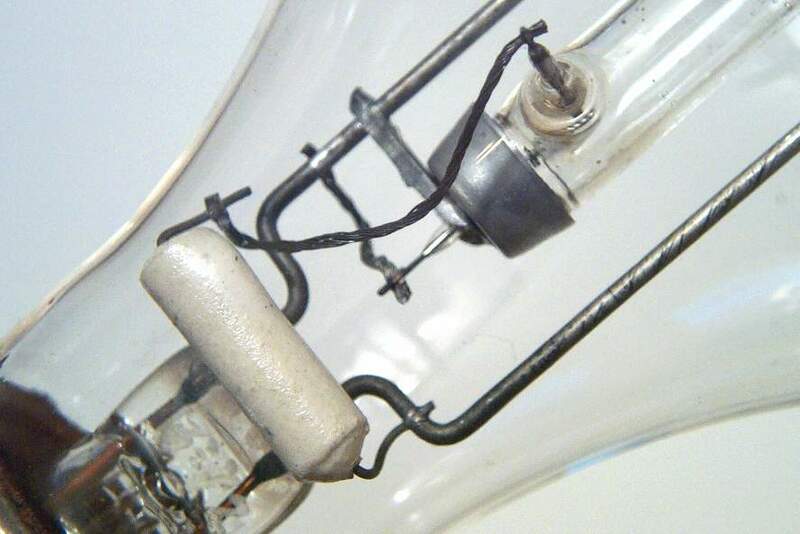 These lamps were based on a low pressure mercury discharge burning across the ends of a tungsten filament in a round bulb filled with a large pool of mercury. The UV output was mild and the combined radiation from the filament made them excellent radiators of infra-red, visible and ultraviolet light very similar to the sun's natural radiation, making them highly suitable as suntanning or general health-giving lamps. 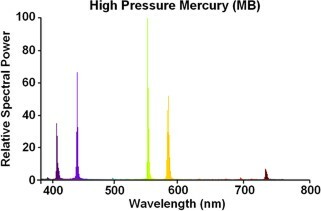 However for a greater suntanning effect, more UV output was required from a small size lamp, and the introduction of the H3 and H4 quartz mercury lamps proved to be the ideal source of UV for these applications. 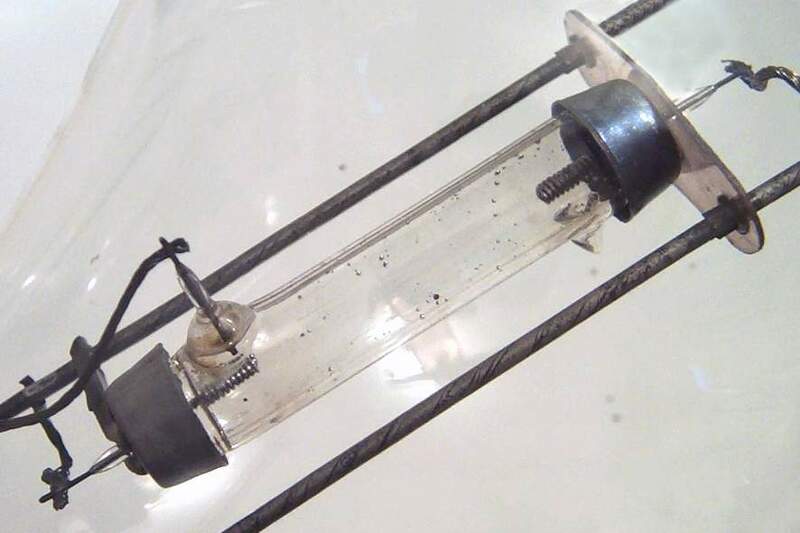 Standard quartz arc tubes of the H4 product were sealed into A-shape bulbs similar to the old S-2 and having a low iron (III) oxide content in the special glass to enable it to transmit the UV rays, and the S-4 lamp was created. These lamps would operate on a simple H-4 inductive ballasts and the bulky transformers used with S-2 to keep its filament and arc stabilised could be dispensed with. The S-4 soon became the most popular ultraviolet lamp in suntanning applications. The seals in lamps of this time were made slightly differently to facilitate manufacture. 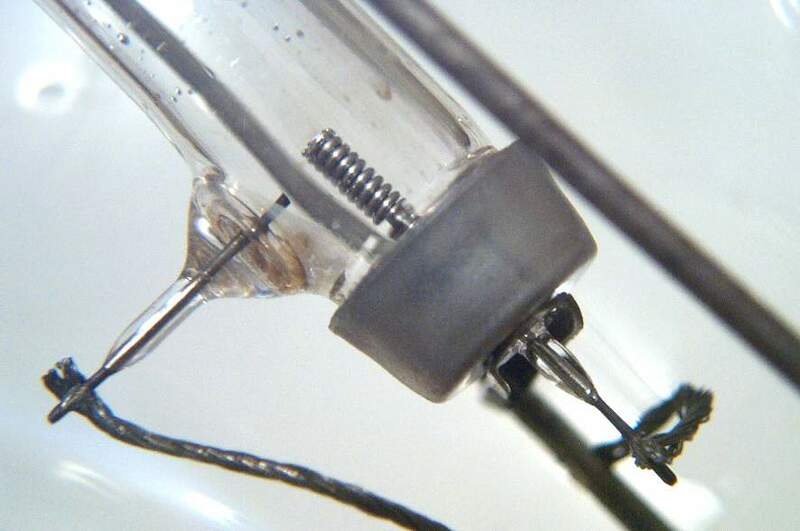 Each of the tungsten lead wires to the electrodes was glazed in graded sealing glass and a sleeve of lower expansion glass built up over it. A cup of the final graded sealing glass is formed over each end of the quartz arc tube, and the sleeved electrodes sealed into this. The ends are platinum coated for heat conservation. Manufacturer: General Electric Co. of U.S.A.